Its been an exciting few weeks. First The Daughter came home from university. (Yay, my movie-date is back home!). Then The Husband and I went to Italy for a week. (Yes, there will be a blog and photos coming.) This week I’m actually in Austin, Texas for work. (I haven’t done any travel with work in years.) 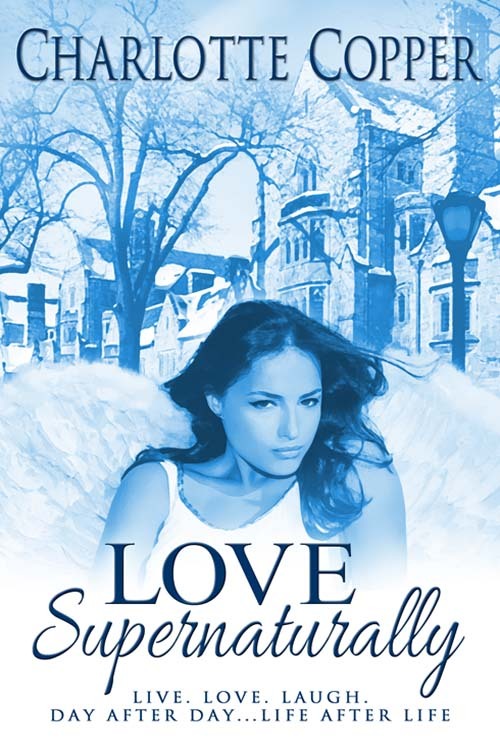 And today….drum roll please….is the release of my sixth e-novella, LOVE SUPERNATURALLY. “So, what are you? Vampire? Werewolf?” His words harsh; anger, hurt, and frustration laced his voice. Did he ask because he believed, or because he couldn’t handle the silence? “I’m an angel,” she whispered. He let out a sarcastic laugh. “Right. And where are your wings?” He glanced at her as if to confirm that they did not exist. Congratulations! Wishing you lots of luck and lots of fun with your new release. My pal Charlotte has a new book out and it looks awesome!